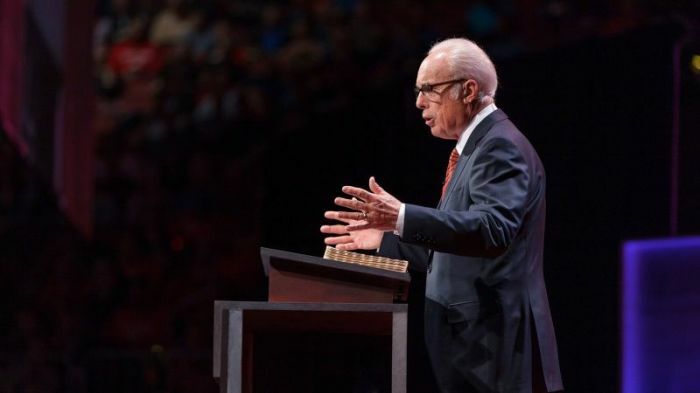 Some Christian leaders are pushing back against and refusing to sign a recent statement spearheaded by pastor John MacArthur that warns against the dangers of "social justice," arguing it is flawed and makes unfair generalizations. The document, "The Statement on Social Justice & the Gospel," contains 14 affirmations and denials and resembles the format of the Nashville Statement on human sexuality from one year ago. It asserts that they are attempting to clarify important Christian doctrines and ethical practices in light of what they say are dangerous, ungodly theories (on race, sexuality, manhood/womanhood) "borrowed from secular culture" that are invading the church. Thousands of evangelicals have already signed on in agreement. In a Saturday post for Kuyperian Commentary, Dustin Messer, who is senior fellow of theology and culture at The Center for Cultural Leadership, explained why he will not be signing the statement and thinks the phrase "social justice" is worth defending. The statement is weak because it assumes meanings of terms and leaves them undefined, and is condescending in its attitude toward any kind of activism, Messer explained. He cited a statement in the document: "And we emphatically deny that lectures on social issues (or activism aimed at reshaping the wider culture) are as vital to the life and health of the church as the preaching of the gospel and the exposition of Scripture. Historically, such things tend to become distractions that inevitably lead to departures from the gospel." Messer argued that the document "is full of false dichotomies such as this. Because of the inherent nature of Scripture, the preacher doesn't have to apply the text, per se; rather, he has to show the text's applicability. Thus, the line between expositing the passage and exhorting the people is always blurred." "I didn't sign the document because [I] can't tell women working at crisis pregnancy centers across the country that they're distracted. I can't tell them that they're on a slippery slope to gospel-departure. I can't tell them that they should believe what Psalm 139:13 says about babies, but not act upon it." He continued that his aim was not to attack those who criticize social justice as both right-wing and left-wing identity politics are destroying the culture. "As I understand the criticism, 'social justice' language is problematic because (1) it has Marxist origins thus imports, at best, problematic categories, and (2) it assumes that's there are multiple kinds of justice, whereas Scripture only speaks of one sort — God's." But that does not mean Christians should abandon the term, he added. He hopes that critics of "social justice" "can at least allow for the possibility that not everyone is using the word to smuggle in a Marxist agenda." Likewise, Ryan Burton King, who pastors Grace Baptist Church Wood Green in England, in an essay published on SBC Voices last week argued that at best he would like to believe the people behind the statement mean well but nevertheless misrepresents what those whom it mainly addresses say. "At worst, it represents a toxic agenda to discredit and undermine godly men and women crying out for biblical social justice, national and ecclesiastical repentance, and meaningful reconciliation," King said. "The statement remains in my view a cynical, misguided document that has been pitched by the wrong people, at the wrong time, in the wrong way, and with wrong ideas and understandings in the background," he explained, noting how he had received a draft of the statement with the request that he sign. While some parts were eventually revised before the final version was published, too many problems existed for him to be able to endorse it in good conscience. Reading the statement on social justice was a sad experience for him, he recounted, given how it was linked to past statements that were good on the merits, while diminishing the real struggles racial minority Christians continue to face. "Sadly I think it is more likely that Danvers and Nashville will be seen to give this statement credibility, and the real losers here will not be these statements and what they represent, but our black brothers and sisters and their allies in the fight for racial reconciliation – once again set back by the white majority culture's denial and deflection," King said. One of the more widely read articles criticizing the statement articles that was shared among mainstream evangelicals was from American Vision, an Atlanta-based theonomist organization. Theonomy posits that the biblical law is applicable to civil law and its proponents contend biblical law is the standard by which the laws of nations may be measured and to which they ought to be conformed. Theonomy is often associated with what is known as Christian Reconstructionism and philosopher R.J. Rushdoony, a figure most American evangelicals have never heard of but whose name appears every so often in secular publications as the boogeyman who supposedly provided the intellectual framework for how many conservative Christians think in terms of engaging culture. "It is *weird* to see the most widely shared piece refuting that Social Justice Statement come from American Vision, which is *the* flagship theonomist organization in the US. As in R.J. Rushdoony Doku theonomist," commented Alan Noble, author of Disruptive Witness and professor of English at Oklahoma Baptist University, on Twitter Saturday. In his piece, American Vision President Dr. Joel McDurmon argued that he can't sign the document partly because it "combines disparate social issues (race, marriage, sexuality) under one overgeneralized label" and also "marginalizes Christian social responsibility." "In the name of a 'closer examination' of the issues, the document not only offers no real 'examination,' but precludes any future discussion on aspects central to the topic. It brings unnecessary division, demagoguing, grandstanding, pigeonholing, and fearmongering—all while neglecting any defined or substantial discussion of some of the actual points of disagreement or denial," McDurmon stated.